When Anheuser-Busch put the St. Louis Cardinals up for sale in 1995, the team looked like a risky bet for any future owner. A labor strike had eroded fans’ interest in baseball, and the Cardinals were perceived as financially handicapped due to the team’s small market size. Even on the field, things weren’t looking good—in 1994 and again in 1995, the Cardinals finished second to last in the division. Despite these warning signs, a group of investors led by Bill DeWitt Jr. decided to buy the Cardinals in the spring of 1996 for $150 million. Bill DeWitt III, photo by Taka Yanagimoto of the St. Louis Cardinals. 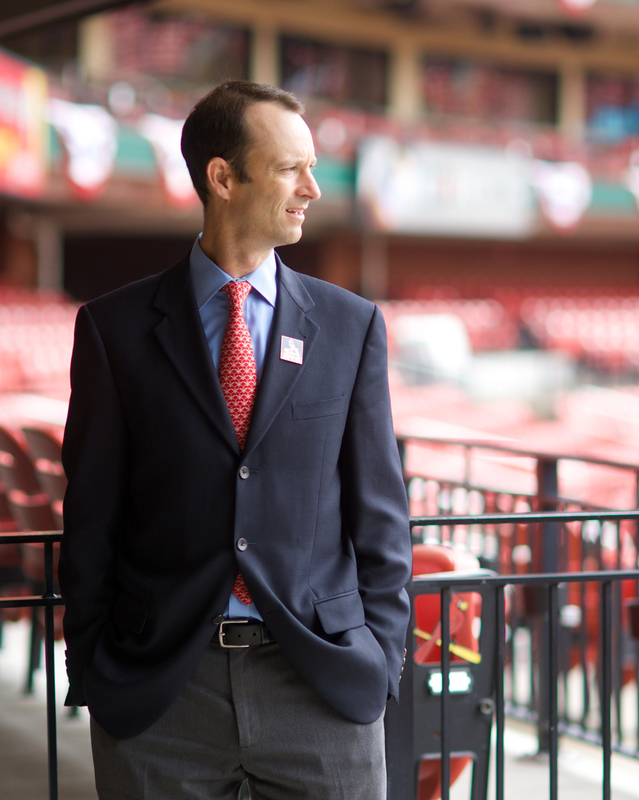 As his dad was buying the team, Bill DeWitt III was finishing his MBA at Harvard Business School. Soon after, he was hired to join the Cardinals front office, where he focused on the team’s concessions and merchandising. In 2008, he was promoted to president. DeWitt’s role with the Cardinals made him the third-generation of DeWitts in the baseball business; his grandfather, Bill DeWitt Sr., was a longtime baseball executive who worked for a half-dozen MLB clubs, including the Cardinals. This year, the DeWitt family is celebrating 20 years of owning the Cardinals. Over that time, the team has made several major business moves: relocating spring training, building a new downtown stadium, developing an adjacent entertainment district, and signing a $1 billion-plus television broadcast deal. The moves have paid off. The value of the Cardinals, an estimated $1.4 billion according to Forbes, has risen tenfold since the DeWitts took over. Earlier this year, Forbes also named the Cardinals the most profitable franchise in baseball. Not to mention that the Cardinals have won two World Series championships and four National League Pennants under the DeWitts’ leadership. 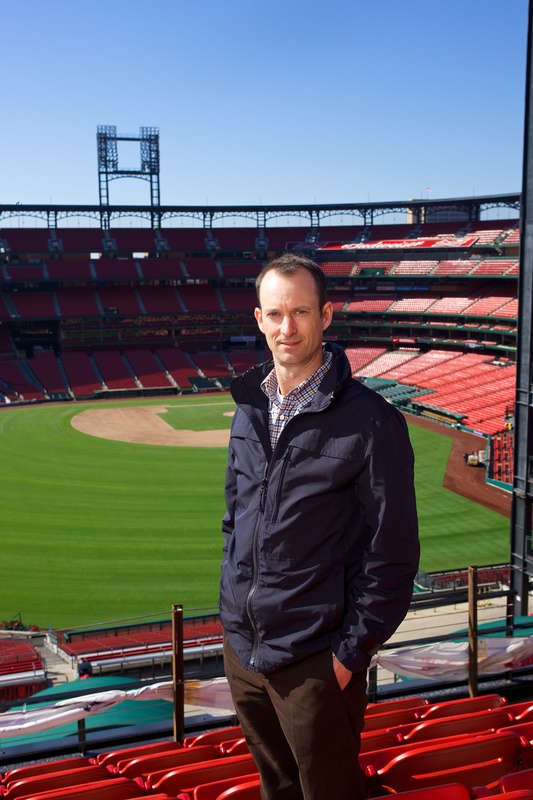 Missouri Business visited the Cardinals front office below Busch Stadium’s left field upper deck. About 200 people work here year round. We met with DeWitt to get his perspective on the business behind the game. MB: When most people think about the Cardinals, they think about the players on the roster, the manager, and perhaps the general manager. But the organization is actually much larger than that. What is the true scope of the Cardinals as a business? 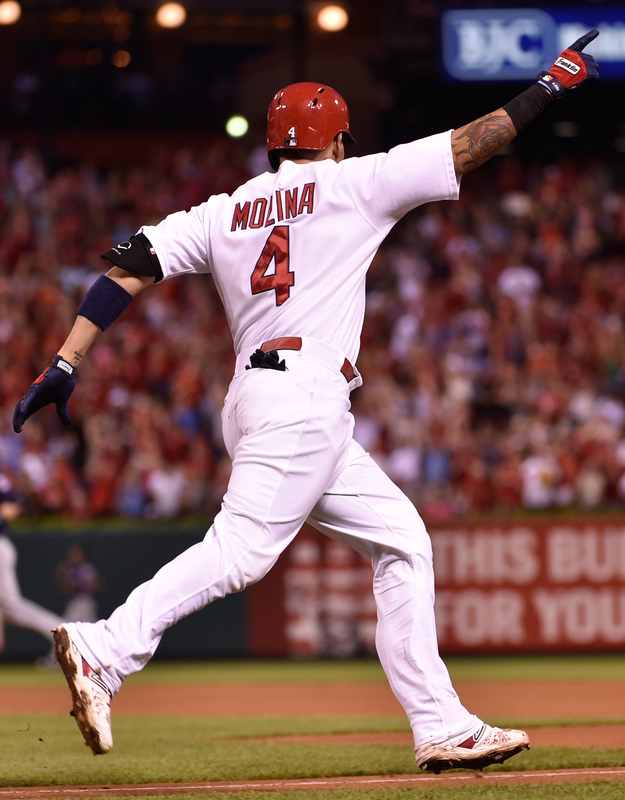 Yadier Molina circles the bases after hitting a home run on June 15, 2015. Photo by Scott Rovak of the St. Louis Cardinals. There’s no question it’s a big operation and it takes a lot of people to keep it going with ticket and corporate sales, marketing, accounting, public relations, stadium operations, and, of course, our whole baseball operation. We have people all over the country working in the player development area. We directly employ the managers, coaches, and support staff of our minor league teams. We also have a scouting apparatus that works on a national and international level. We have an academy in the Dominican Republic. We have folks that are scouting the Japanese league as well as other activities in Latin America. MB: You mentioned the minor league teams. It’s unusual for a major league franchise to own its minor league system. Yet the Cardinals own the clubs in Memphis, Springfield, and Palm Beach. Are those teams intended to be profit drivers on their own, or is their purpose to help improve the major league team and create a profit in St. Louis? DeWitt: The minor league clubs are hopefully profitable, but they’re not significantly impactful to the bottom line. Having said that, Springfield has been a good investment, and Memphis is trending in the right direction. Palm Beach doesn’t really make money; it’s very development-oriented. When you are going to hold a strategic asset for some period of time, you hope it either makes some money or goes up in value. For us, we didn’t really set out as a strategy to buy those clubs. Each came about as an opportunity. Both Springfield and Memphis are markets that we consider Cardinals territory, but people in those areas support other teams as well. Owning those teams was an opportunity for us to have a consistent presence in those outer markets of Cardinals Nation and really solidify those territories. From the team perspective, Springfield and Memphis are strategic for us because our player development folks can get in a car and be down there in a matter of hours. The players can come back and forth conveniently as needed. 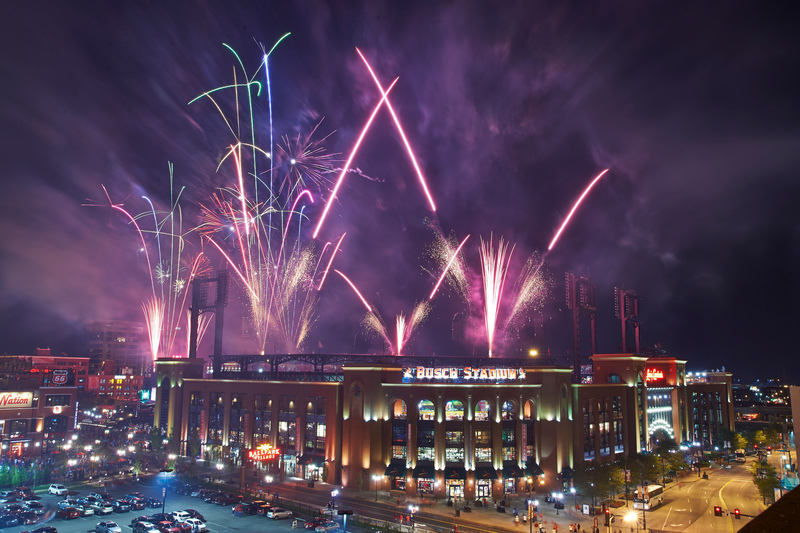 MB: The Ballpark Village entertainment district opened before the 2014 season. How has the rest of baseball responded to that? Ballpark Village, photo by Dan Donovan of the St. Louis Cardinals. DeWitt: Sometimes we think there’s not a lot of innovation in sports because there are so many organizations and they all feed off of each other’s ideas. But I think this is an idea that really will have legs into the future for many other clubs. Many have been to St. Louis to check it out. It’s gratifying to see clubs coming here because we were that club for a while, traveling around and seeing what everyone else was doing. That said, it’s hard for other clubs to recreate this because one of the things that’s great about Ballpark Village is the view corridor that looks into the field of play from the development. You have to do pretty drastic surgery on an existing ballpark to create a similar opportunity. Or you can just create a whole new complex from scratch; the Braves are an example of a team doing that right now. 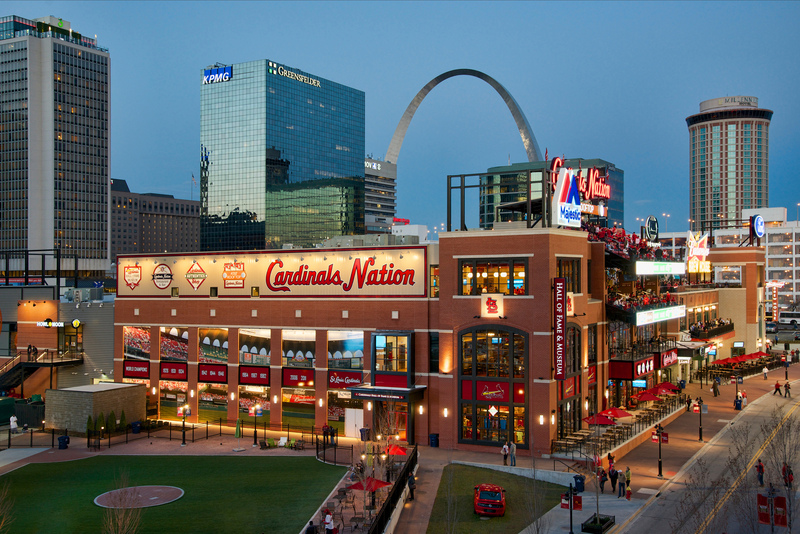 MB: Even though you are just one-year in with Ballpark Village, do you foresee it having a positive impact on downtown St. Louis? DeWitt: Definitely. Ballpark Village means we are in business now 365 days a year, as opposed to just 81 days a year. We are hopeful that future phases will continue to create that momentum downtown. It’s a 10-acre site and we’ve only developed three acres of it. We’d like to do some residential, create some additional parking, and add some additional retail, maybe some office space. We’re optimistic that our imprint on the downtown will continue to grow and become something the whole region can be proud of—not just as an entertainment district but a true neighborhood as well. MB: Is there any timeline on when we can expect to see some action on future phases? 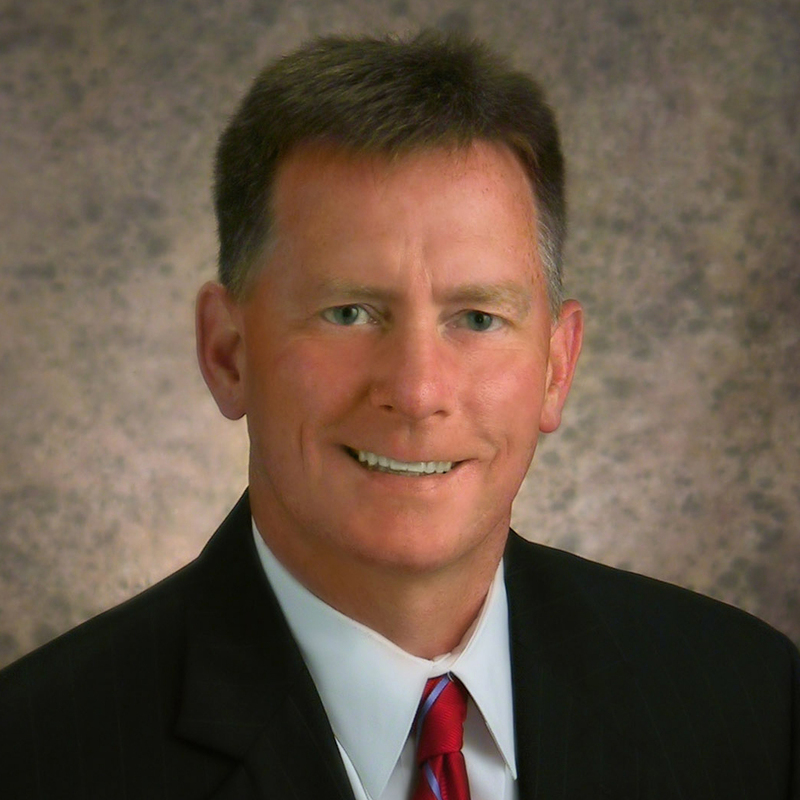 DeWitt: We’re discussing that. There are a couple of different models that we have out there. We are debating them and trying to stress test them. Timelines are hard to pin down. I’d like to think within a year or so we’d be able to announce something. Certainly no guarantees. When I started predicting timelines on the first phase of Ballpark Village, I got myself into trouble [laughs]. MB: How does a business like the Cardinals define success? Can it be a good year if you miss the playoffs but make a big profit? Would it be a bad year if you won the World Series but were in the red doing it? DeWitt: I define success as having the team’s finances capable of supporting long-term, consistent competiveness on the field. So you might have a very profitable year if everything breaks your way, as it did a couple of years ago for us. Or you might have a year that doesn’t go your way, with player injuries, poor play on the field, and a bad schedule compounded by bad weather; those things can and have happened to us. But, overall, we believe in a financial strategy that is aggressive in developing revenue streams so that we can maximize the resources available for the baseball operation. The goal is to create internal players through our own pipeline of scouting, drafting, and player development. But realistically, we’re not likely to field a World Series championship team with 25 guys that we’ve drafted, scouted, and brought up. You’re going to have to be in the free agent market or acquire players through trades on occasion. So the financial engine of the team is what allows you to plug those holes at the right time in the right way. Mo [General Manager John Mozeliak] and my father do a great job of that. They both understand that tradeoff between short- and long-term decision-making. Getting that balance right is the key to long-term success. I don’t think we’ve ever just totally gone for it in one year because, if things don’t work out, you’re hurting the next year and beyond. Nor have we ever really had to be total sellers at the trade deadline, which is very fortunate from a fan loyalty standpoint. So, I think it’s that belief that if you give yourself a chance every year, good things can happen every now and then. And we’ve seen that. In 2006 and 2011, we got hot in October, and the rest is history. MB: Looking farther out, how are the Cardinals and sport of baseball going to stay attractive to the next generation of fans? Where will growth come from? DeWitt: There’s no question when we went through the process of selecting a new commissioner that teams were very clear about where we wanted to go as an industry. We want fans of our game to be younger, more diverse, and more international. There’s a lot the commissioner can do with outreach to grow the game and help attract diversity and youth to baseball. As far as international growth, the commissioner’s office is working on that as well and we’ve made it known we want to be part of the solution. Cuba is one area with a lot of interest. There’s talk of exhibition games in Cuba, and of course, it’s a great talent pool. It’s kind of funny because just about every team has raised their hand and expressed a desire to do outreach in Cuba. Elsewhere in the world, what we’ve seen in other sports, particularly the NBA, is when you have a great player that comes from another country it sparks interest in that home country. Yao Ming is great example of that with interest in China for basketball. When we had So Taguchi on our team, he did great for us—especially in 2006. He was one of our secret weapons. He also spiked interest in Japan. Those are the kind of things that you can’t necessarily plan for, but you can plant the seeds. So there are some initiatives going on in those foreign markets to try to develop talent because that’s the ultimate way you can spark interest in those countries. MB: This year, news broke about an FBI investigation related to a Cardinals employee allegedly hacking into another team’s computer system. How did you approach the negative attention coming from that? DeWitt: We try to be as honest as possible with our fans in this business. As it relates to the hacking scandal, we felt we had to be out there and tell people what we knew, when we knew it. Then we just let the process play out because it’s somewhat out of our control. We try to create a culture of integrity, honesty, and hard work—all things people have associated with this franchise for a long, long time. When something happens counter to that philosophy, it’s very upsetting and I think it’s upsetting to our fans as well. I think that’s a sign that they care. So we’ll do whatever it takes to protect the integrity of this organization, learn our lesson, and be stronger going forward. Given that we’re in it for the long-haul, it gives you the luxury of patience when something goes wrong. You stay the course and it will eventually get better. MB: One of the other big discussions in St. Louis is what’s going to happen with the NFL and the possibility that the city could lose the Rams. How would that impact the Cardinals? DeWitt: I think, if the Rams left, it would be marginally positive for the Cardinals and Blues as it relates to ticket sales and corporate sponsorships. Having said that, I don’t want to see them leave. I’d love to have the Rams stay in town. I think it’s great for St. Louis to be a major league city and a beacon drawing in tourists from other markets. When they come, they don’t just experience the pro sports but all of the things that make St. Louis unique: the Arch, the Zoo, Forest Park, the Botanical Garden, all these great things. So I’m rooting for the Rams to stay. MB: What are your favorite moments from your time with the Cardinals? DeWitt: The most raw emotion I felt was the game 7 strikeout by Adam Wainwright over the Mets in the 2006 National League Championship Series. That game was just so up and down, so well played. And there it was runners on base, two outs, two strikes. Then sure enough, Wainwright spun that great curve ball that sealed the deal. That’s when the moments are the greatest, when you are at the edge of disaster and celebration. That said, I don’t think you can top game 6 of the 2011 World Series. I was up in the suite with my son, Will. He was getting a little teary-eyed after the Josh Hamilton home run put the Rangers ahead in extra innings. It turned out—this is one of the great things about being in my position—Lou Brock was up there, too. Lou Brock said, “Oh, it’s OK, Will. They can still come back.” But Will wasn’t buying it at all. He was all sniffles. But, of course, the miracle happened. David Freese homers. We were just jumping up and down, high-fiving—Lou Brock, my son, and me. That was a moment. Photo by Dan Donovan of the St. Louis Cardinals.